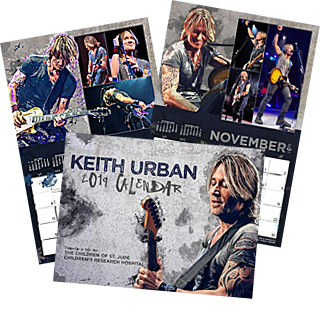 Browse: Home / ORDER YOUR 2016 KEITH URBAN CALENDAR FOR ST.JUDE NOW! 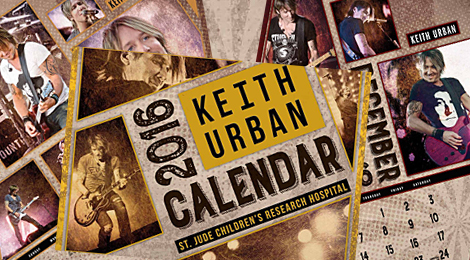 Our 2016 Keith Urban Calendar to benefit St.Jude Children’s Research Hospital is now available for purchase! Make sure to get your order in today to be one of the first to receive your new calendar and start enjoying Keith all year round on your wall in 2016! Enjoy Keith on your wall all year round in 2016 and help the kids of St.Jude Children’s Research Hospital! Hi there … I don’t recall receiving an email confirmation for my order when I placed it a couple weeks ago. Do you have a way of checking to be sure my pre-order is in? It would be under my name .. Donna McCabe. I have ordered his calendar for the past couple years with no problem… Not a pay pal person but every time I try to order, they tell me my city and state are incorrect…ready to give up but love the calendars and helping St. Jude’s….what’s the problem? We are receiving orders with no problems and have tested the system and it is working – same system as last year as well. It seems the few that have had problems were ordering from their mobile device and that should work but it does seem to be an issue with certain ones. Please feel free to email me at kucalendar@keithurbanfans.com and I can try to further assist. Sorry for the trouble! Try to put credit card information in but kept telling me check credit card or used another card. There’s nothing wrong with the card I have, so I guess I won’t get an calendar this year. Been buying them every year and never hsd any problem before. Orders are coming in just fine and the system is working. Make sure you were typing in everything as it appears as one wrong character can cause a problem. Sorry for your trouble. Feel free to email me at kucalendar@kethurbanfanfans.com and I can further assist. I just ordered my copy!!!! Can’t wait to get it!!!! I am trying to order from my phone. The only option I am getting is PayPal but I’d like to pay with a credit card. You do not have to have a PayPal account to purchase, they are simply our credit card processing company. If you do not want to use a PayPal account, there is an option to checkout without using actual Paypal. Hope that helps! Please feel free to contact me directly for assistance. 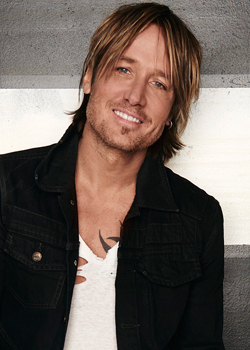 kucalendar@keithurbanfans.com. Trying to purchase the 2016 calendar thru paypal and it keeps sending me to the paypal credit sign il which I do jot want – help.